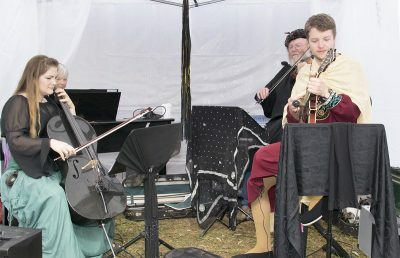 The Medieval Festival is one of our premier events to attend in the first half of the year and this year’s festival was much improved from the previous year, apart from the weather. In a nutshell, they just get better. 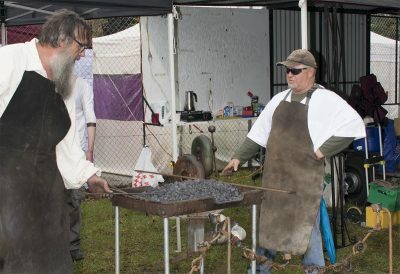 Planning was a little more complete this year and the setup of the forge and smithy’s trailer went very smoothly. 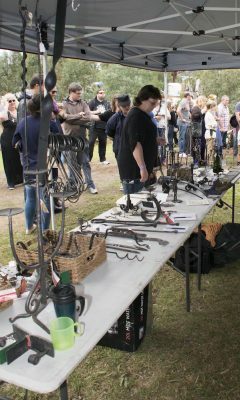 We had a good selection of items for the trading table and a good supply of members at the table and at the forges. 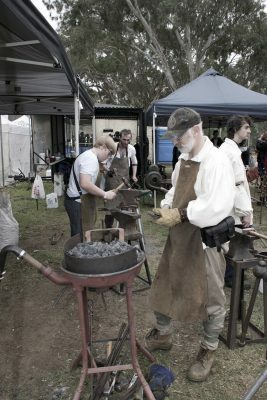 Brian brought along his latest acquisition of a forge and bellows while Will and Aiden ran Andrews cast iron base forge, Chris and Peter ran a small blower forge on the other side. So, we had all sides covered and a constant group of spectators for the entire day. A well stocked trading table. 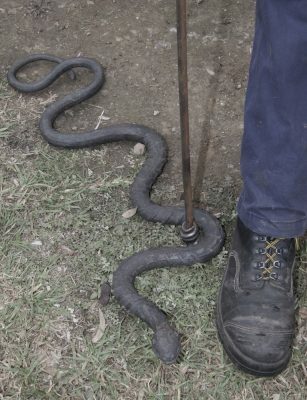 Andrews rebar snake caused a few startled looks. 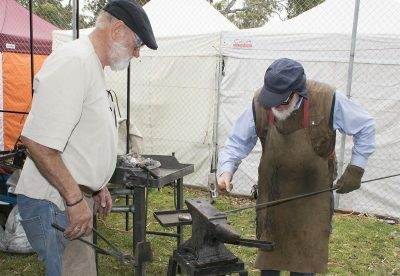 Chris and Peter striking the iron. 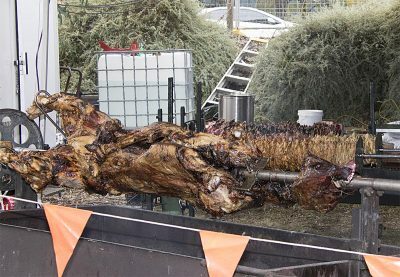 Brians new forge had a good workout over the two days. 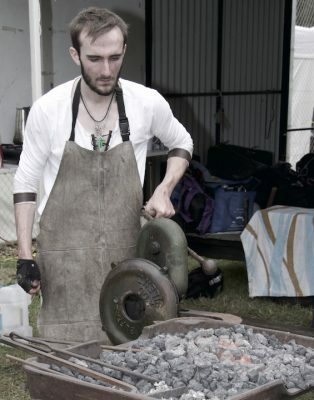 Andrew and Anthony working the forge and looking the part.